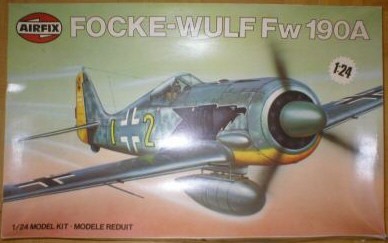 Flown by some of Germany's top 'aces', the Focke-Wulf Fw 190 was considered one of the best fighter aircraft in the Second World War. It fought on every war front and was developed through numerous versions to be one of the fastest combat aircraft of the war. This superb aircraft now joins the 1:24th scale range of BIG kits with this 170-part model. One of no less than three versions can be built and a number of optional items are provided including canopies, guns, a bomb or drop tank plus different sets of decals. Full engine detail and a complete cockpit interior make this a true masterpiece in miniature. Wing span 436mm.